Settings: MakerWare .2mm/standard in 7 hours and 27 minutes. 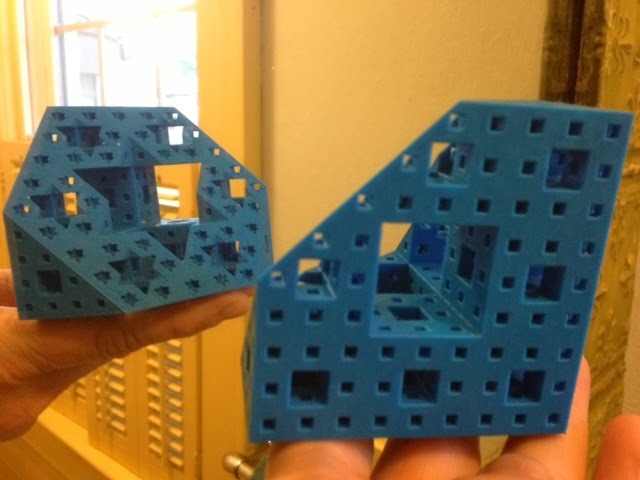 Technical notes: The first time I printed this Menger slice it worked wonderfully, but the second time I had a serious problem removing the model from the build platform. Next time I think I'll print this in owens' "on the corner" configuration, the same way yesterday's cube was printed.